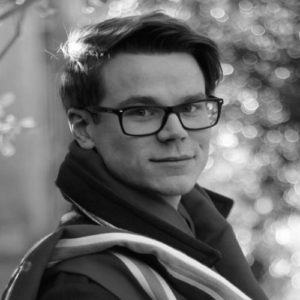 Michał Ratyński is a recent MPhil graduate in Development Studies from Wolfson College, University of Cambridge. He has also graduated with 2.1. honours in Politics and East European Studies at the University College London. His major interests are related to international diplomacy as well as socio-economic development with a particular focus on Sub-Saharan Africa. 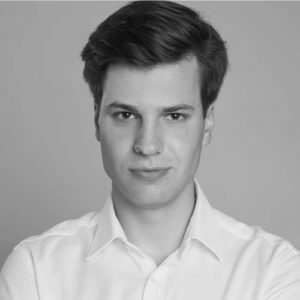 Michał has had an opportunity to work in places such as the Polish Embassy in Brussels, Thomson Reuters' Warsaw office, and also took part in a consulting project for small businesses in Kampala, Uganda. He is actively involved in building Project Access in Cambridge, In his free time, Michał enjoys travel, skiing and photography. He is looking forward to having a challenging, international career, preferably in public policy. Student of Quantitative Methods in Economics and Information Systems at Warsaw School of Economics (SGH). Current President of the WSE Students' Union. Beneficiary of many scholarships since High School. Gained first professional experience from Polish State Railways and Accenture. Oxford-style debates judge and Mensa Society member. Interested in cooperative game theory and social psychology. 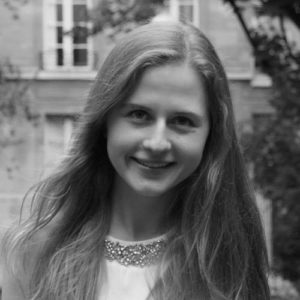 Michalina Nadolna is an International Baccalaureate graduate, currently pursuing a Master of Laws at Adam Mickiewicz University and a Bachelor in Finance and Accounting in Business at the University of Business and Management in Poznań. 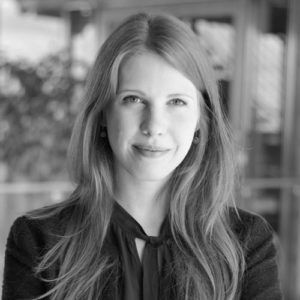 She has done exchanges at Warsaw University as well as Antwerp University and has secured a place at the University of Liège in the next academic year. She has also completed several professional internships, particularly at Baker&McKenzie and Bridgestone NV/SA. Striving for the best academic performance, Michalina is also a frequent participant and organizer of international conferences and debates, such as Model United Nations and Model European Union. A second-year Finance and Accounting student at SGH Warsaw School of Economics. He gained his first professional experience while participating in internships at the Polish Ministry of Finance and at the Embassy of the Republic of Poland in Brazil, as well as during an exchange program at the National University of Singapore. For his academic achievements, he received scholarships funded by the President of Warsaw and by the Dean of SGH Warsaw School of Economics. In his free time, an avid traveler who visited over 50 countries. Nadia is a half-Polish, half-English 22-year-old who is hoping to put her binationalism and avid interest in international affairs in practice during the TFLF House of Commons internship. She completed the IB Diploma Programme at the British School of Warsaw with the maximum score of 45 points. She then went on to study Politics and International Relations at the University of Cambridge, where she graduated with a First. Nadia is currently halfway through a Sciences Po - London School of Economics dual Masters degree. She has already interned for Visa (in Paris) and for the British Embassy (in Warsaw), and loves to travel, cook and participate in Model United Nations conferences in her spare time. 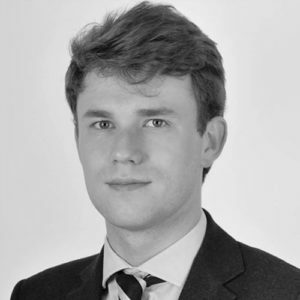 Tadeusz Kolasinski is a student at Master in Economic Law programme at Sciences Po Paris. Politics has always been his passion. Besides of studying it academically, he already had an opportunity to experience the public life by organising an international conference in the Balkans, interning in newsroom of a major news agency or assisting a high state official in Poland. His current biggest interest is the interaction between politics and business, especially political risk analysis. He hopes to use his education and experience one day to help shape Polish public policy. Michał Ratyński is a recent MPhil graduate in Development Studies from Wolfson College, University of Cambridge. He has also graduated with 2.1. honours in Politics and East European Studies at the University College London. His major interests are related to international diplomacy as well as socio-economic development with a particular focus on Sub-Saharan Africa. Michał has had an opportunity to work in places such as the Polish Embassy in Brussels, Thomson Reuters’ Warsaw office, and also took part in a consulting project for small businesses in Kampala, Uganda. 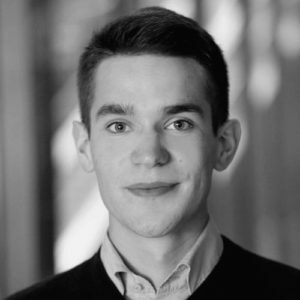 He is actively involved in building Project Access in Cambridge, In his free time, Michał enjoys travel, skiing and photography. He is looking forward to having a challenging, international career, preferably in public policy. Student of Quantitative Methods in Economics and Information Systems at Warsaw School of Economics (SGH). Current President of the WSE Students’ Union. Beneficiary of many scholarships since High School. Gained first professional experience from Polish State Railways and Accenture. Oxford-style debates judge and Mensa Society member. Interested in cooperative game theory and social psychology. A second-year Finance and Accounting student at SGH Warsaw School of Economics. He gained his first professional experience while participating in internships at the Polish Ministry of Finance and at the Embassy of the Republic of Poland in Brazil, as well as during an exchange program at the National University of Singapore. For his academic achievements, he received scholarships funded by the President of Warsaw and by the Dean of SGH Warsaw School of Economics. In his free time, an avid traveler who visited over 50 countries. Nadia is a half-Polish, half-English 22-year-old who is hoping to put her binationalism and avid interest in international affairs in practice during the TFLF House of Commons internship. She completed the IB Diploma Programme at the British School of Warsaw with the maximum score of 45 points. She then went on to study Politics and International Relations at the University of Cambridge, where she graduated with a First. Nadia is currently halfway through a Sciences Po – London School of Economics dual Masters degree. She has already interned for Visa (in Paris) and for the British Embassy (in Warsaw), and loves to travel, cook and participate in Model United Nations conferences in her spare time.